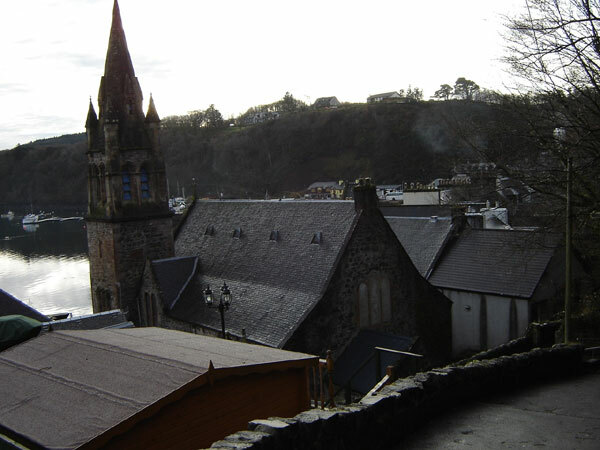 This former church is sited on Tobermory Main Street overlooking the harbour. 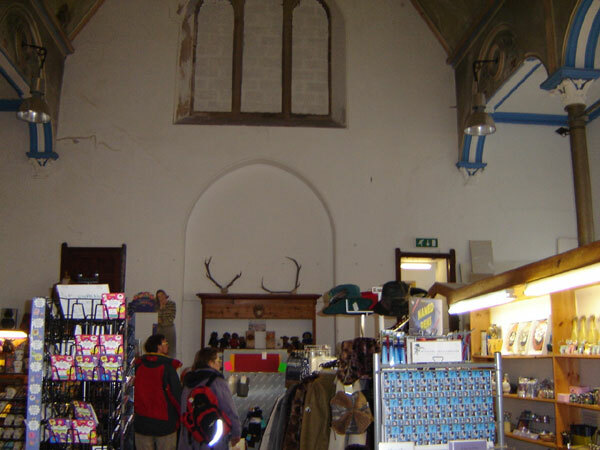 The style of the building is gothic revival. It is stone built with a slate roof and is rectangular in shape. There is an octagonal steeple on the north-east corner, which is mounted on a square tower with two stages. On the south-east corner is a small octagonal tower with a pyramidal slate roof. The porch is at the east end and has a pointed-arch doorway. 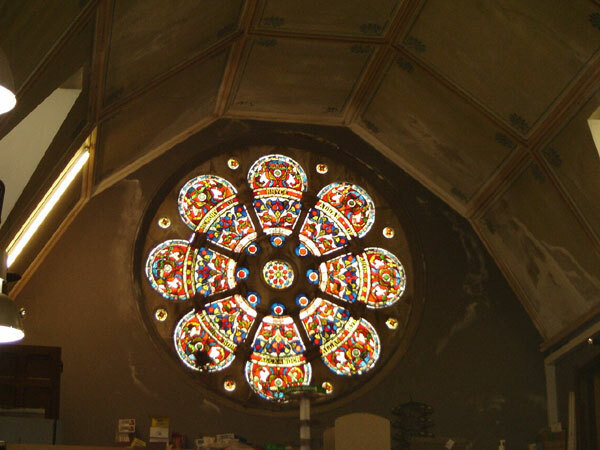 The impressive rose-shaped, stained-glass window in the east gable was gifted by Alexander Allan of Aros. 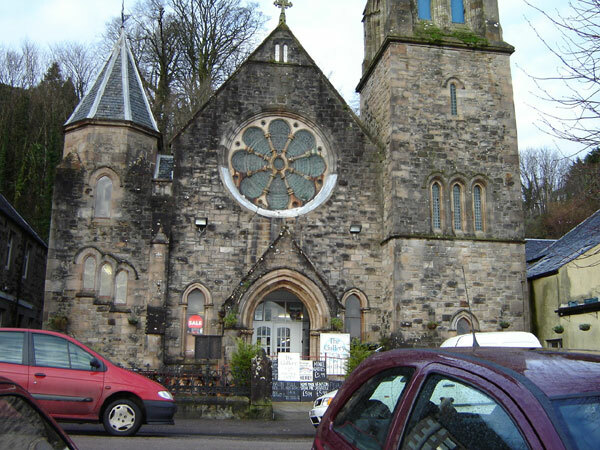 The Established Church was in existence until the Disruption in 1843, when the Free Church was formed. 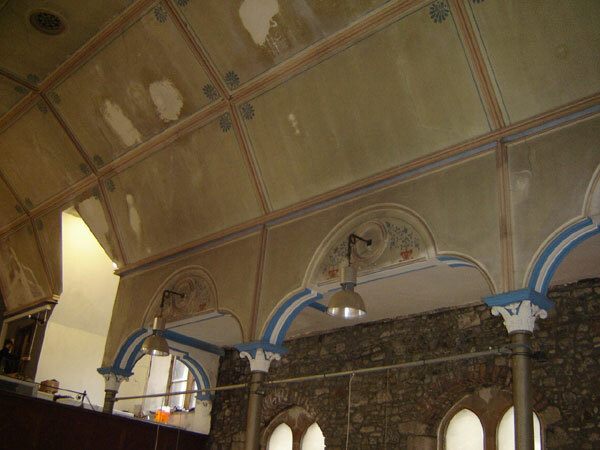 Members first met in Columba Buildings (now partly occupied by Mull Museum), but when the congregation grew too large they built a larger and more imposing place of worship to a design by John Hay of Edinburgh. 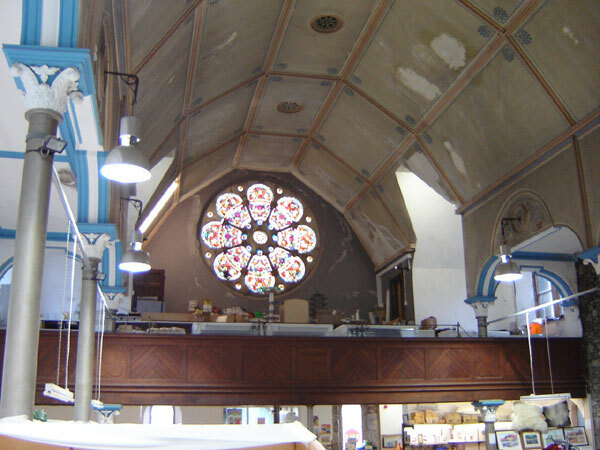 Construction took place in 1877 and 1878, and the new church opened on 1st Jan 1879.